Item Description Skinner writes: The Kirrie Kebbuck is more Scots than cheese. 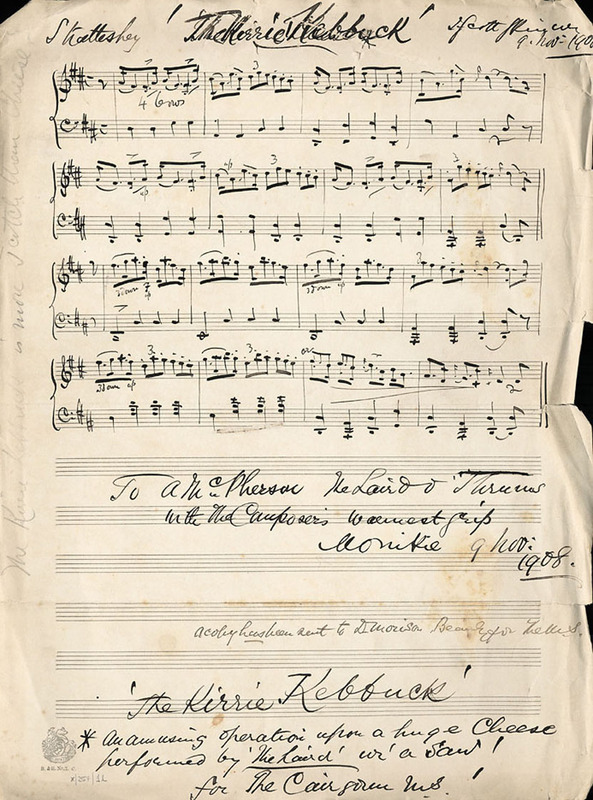 To A McPherson the Laird o Thrums wi' the composer's warmest grip, Monikie 9 Nov: 1908. A copy has been sent to D Morison,Beauly for the MS. An amazing operation upon a huge cheese performed by 'The Laird' wi' a saw. For the Cairngorm MS. The Kirrie Kebbuck was published by James Hunter in 1979. You can listen to Skinner playing this melody by clicking on the audio link (cd25b).